PALM COVE Located in Tropical North Queensland, Palm Cove is a small beach community twenty minutes north of Cairns. 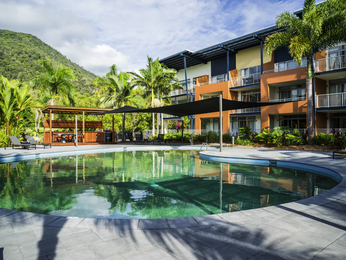 Surrounded by the Daintree Rainforest and sheltered by the Great Barrier Reef, the area provides visitors staying at hotels in Palm Cove with a year-round tropical paradise. 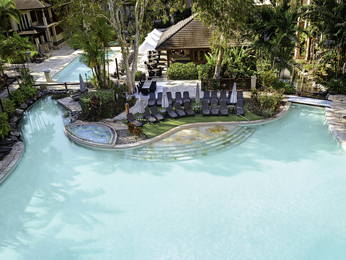 Whether you want to trek the Rainforest, explore the wonders of the Reef, shop til you drop in Cairns, or simply enjoy sand between your toes and waves lapping at your feet, Palm Cove has it all. 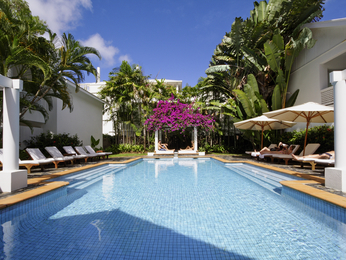 Feel welcome at any one of the Palm Cove hotels offered by AccorHotels. Discover our selection of hotels from upscale to budget in Palm Cove for your next business trip, family holiday or weekend break in Palm Cove.